New Delhi, January 31: Construction of 4,78,670 affordable houses has been approved for the benefit of urban poor under Pradhan Mantri Awas Yojana (Urban). The approval was given in the 42nd meeting of the Central Sanctioning and Monitoring Committee held on Wednesday. The Ministry of Housing & Urban Affairs has approved the construction of these affordable houses. The cumulative number of houses sanctioned under PMAY(U) now is 72,65,763. 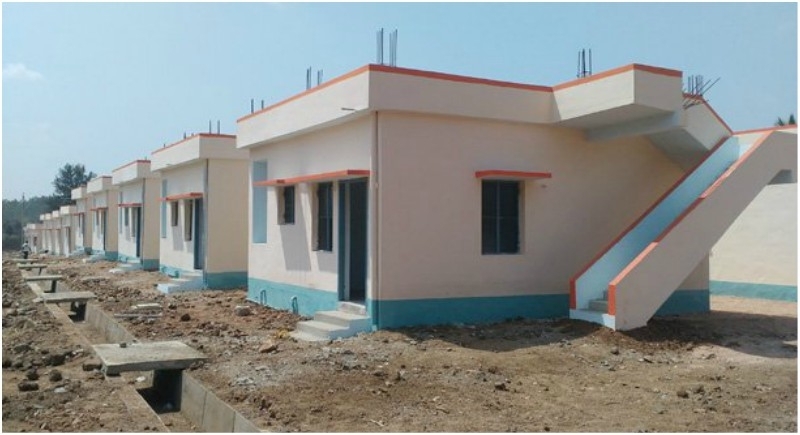 Andhra Pradesh has been sanctioned 1,05,956 houses while the sanction for West Bengal is 1,02,895 houses. The number of houses sanctioned for Uttar Pradesh is 91,689, while Tamil Nadu has been sanctioned 68,110. Madhya Pradesh has been sanctioned 35,377 houses and the sanction for Kerala is 25,059 houses. The number of houses sanctioned for Maharashtra is 17,817 while Odisha has been sanctioned 12,290. Bihar has been sanctioned 10,269 houses while the sanction for Uttarkhand is 9,208 houses. A total of 940 projects with a project cost of Rs22,492 crore with central assistance of Rs7,180 crore has been approved in the meeting held under the Chairmanship of Durga Shankar Mishra, Secretary, Ministry of Housing and Urban Affairs.